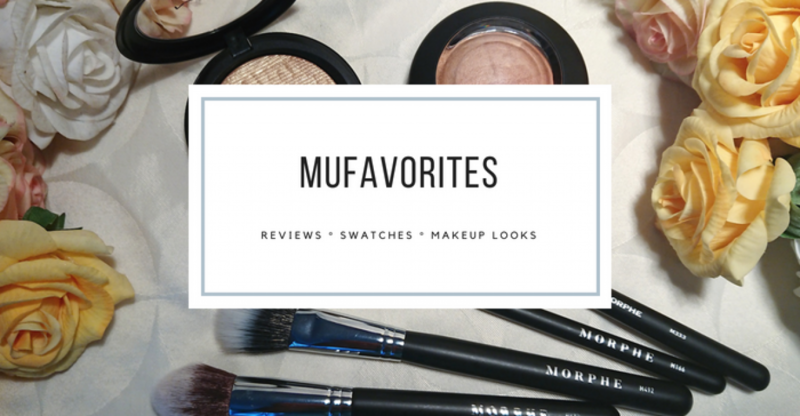 Throwback Thursday Makeup Look – MAC Single Shadows! I figured it was time to pull out those old MAC palettes again with my collection of single shadows. I remember how big MAC eyeshadows used to be. Back in 2009 when I first started looking at makeup videos on YouTube, Mac eyeshadows were featured in every single makeup tutorial. People didn’t have a bunch of palettes, and there were no such thing as PR for YouTubers so people sat there with their well loved and much used MAC eyeshadows. Having a big MAC eyeshadow collection was the big eyeshadow dream. There were tons of videos with them as well “Top 10 Mac Shadows”, “The best colorful MAC shadows”, “My MAC eyeshadow collection” and so on. They were so much in focus and MAC single pans were the big thing to collect. Funny thing is, then they cost twice as much as they do today! The price was bumped down when MAC got some serious competition, mainly from MakeupGeek to begin with but a lot of brands popped up and made cheaper single pan shadows of good quality, so MAC just could not keep the 12$ price-tag on them. They were just so iconic, and I still remember how excited I was when I got my first MAC shadow (It was Embark). My collection has grown since then, but I rarely use my MAC shadows, which is such a shame because I have both colors and neutrals suitable for so many different things. As I always say in these posts, I need to use them more! Today I went for something colorful. Are you surprised? MAC Eyeshadows – Brulé, Kid, Shroom, Electric Eel, Lucky Green, Tilt, Goldenrod, Three Ring Yellow, DF7, Nocturnal, Nehru. Chanel Le Kôhl Crayon – Blanc. Maybelline Lasting Drama Gel Eyeliner 24 H – Black. House Of Lashes – Noir Fairy Light. MAC eyeshadows really are nice to work with. Not as highly pigmented as we have seen much of in later years, and far more hard pressed than what’s been popular lately, but the quality is good. I feel inspired to tidy up my MAC palettes now, buy those extra inserts I have postponed for years, adding some fun shades to my collection and making the palettes a bit more streamlined. Well, wish me luck! Do you collect MAC eyeshadows? What are your staples that you thing I should pick up? Let me know in the comments! Colourpop Fame Eyeshadow Palette – Review & Swatches! My Holy Grail Body Lotion – Haus of Gloi Pumpkin Butters! I don’t collect MAC shadows, but I like MAC products in general. I love the pro longwear concealer amongst other. The prices haven’t gone down here in Europe. A single eyeshadow is still €13.5, so that’s about $15, which is insane to be honest. Especially when you see the competition MAC is getting from other brands creating great palettes. I know all about the pricing since I live in Europe myself. A bit sad because they are not really competitive to other brands one third of their price. No idea why they did not adjust the prices in Europe as they did in US. I also find this totally confusing. I love a good MAC single shadow! My favorite is probably Sumptuous Olive. Satin Taupe & Club are also old-time favorities. I’m still a MAC shadow fiend. Love Woodwinked, Phloof! (the name sells this shadow all on its own), Club. I still travel with my quad of Vanilla, Kid, Brown Down, and Carbon. They also have their new Dazzledust shadows, which I also love!